Rocket Matter Knowledge Base Invoice TemplatesInvoice Template: How to edit and upload Invoice Templates. 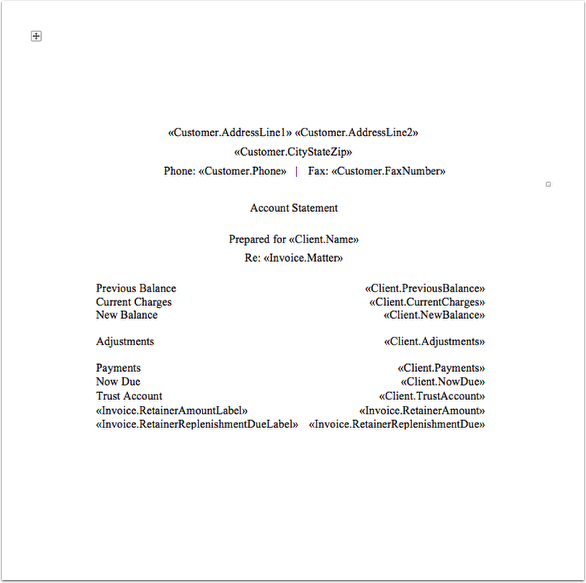 Rocket Matter Invoice Templates are essentially Word documents with 'Invoice Template Merge Fields' embedded in them. 2. Click on 'Custom Invoice Templates'. 3. 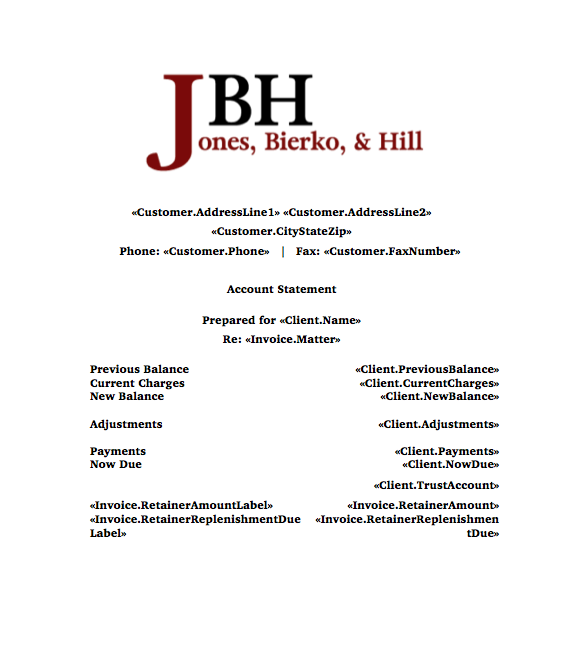 Download your invoice template. - You can also select and download one of Rocket Matter's 6 pre-formatted templates to customize. - The downloaded Template will be located in the Downloads folder on your computer. 4. Open the downloaded template in Word. 5. Add your Firm's Logo. 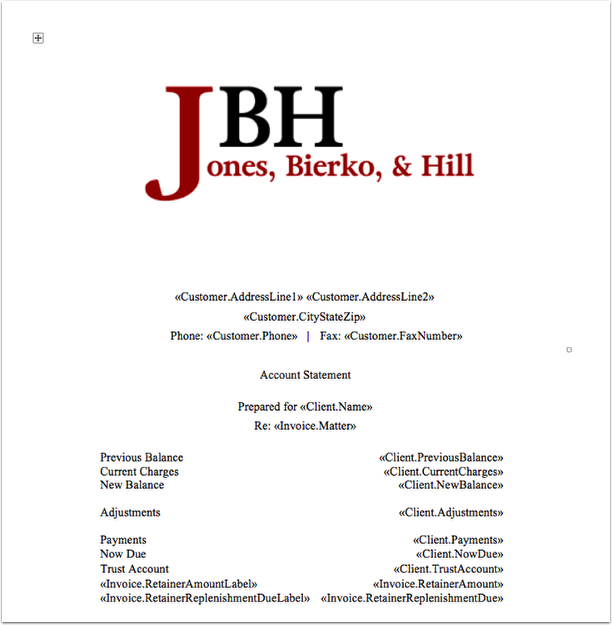 - Within Word, simply paste your firm's logo on the cover page, and/or on subsequent pages of your document. Use Word's editing capabilities to scale and place your logo as needed. 6. Change the formatting and fonts. - Use Word's robust text editing capabilities to change the font and style of your document. 7. Add, delete, or modify 'Invoice Template Merge Fields' as needed. How do I add or change a merge field on my Invoice Template? 8. When you have finished customizing your document, click 'upload' in Rocket Matter. 9. 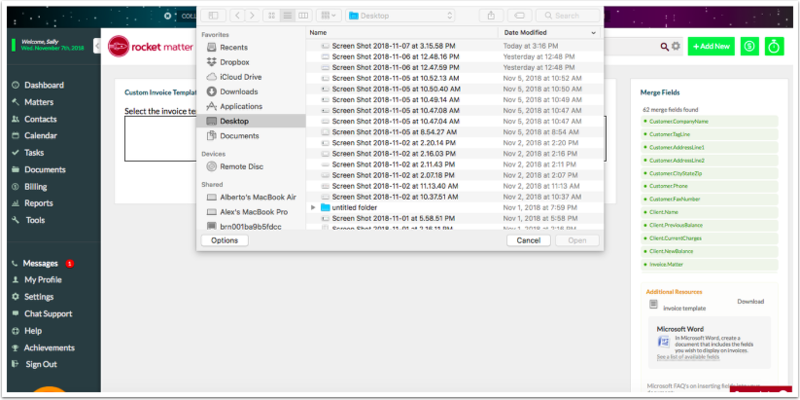 Choose the file you wish to upload, and click 'Next'. 10. Your newly updated Invoice Template will appear in the display window. 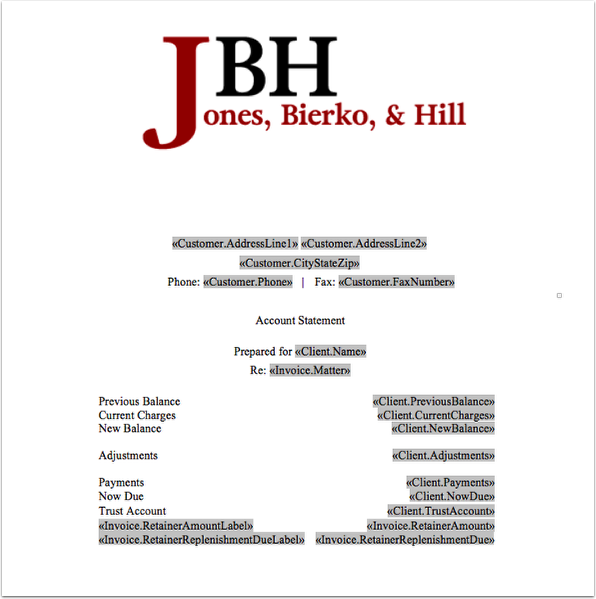 - We recommend running a Pre-Bill to confirm that your desired edits appear on new Invoices. Prev: How to change the Firm name and address on your invoice, summary or unpaid invoices. Next: Invoice Template: How do I choose one of Rocket Matter's 6 pre-formatted Invoice Templates?